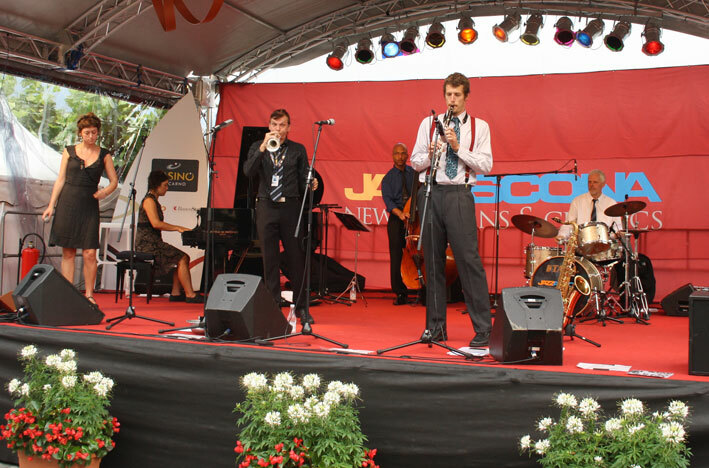 Specially put together for JazzAscona 2012, the band is taking its name from the new musical scene which is evolving on Frenchmen Street in New Orleans, only a few blocks away from the old historic French Quarter. In the last years, this street has evolved into a very unique, and active musical center. Within about 3 blocks there are music clubs, side by side. To name some: Three Muses, The Spotted Cat, Snug Harbor, Mélange, La Maison, d.b.a., Café Negril, Blue Nile, Apple Barrel. On any given night, all year round, starting already in the afternoon, one can hear a wealth of musical talent. Bands playing and representing the gumbo of musical styles that New Orleans has born and nurtured, like Jazz, Brassband Music, Blues, Funk, R&B. Many young musicians, playing traditional Jazz, are very active here. Excellent Lindy Hop dancers unite music and dance into one dynamic experience. All the musicians in this band are all part of this new musical scene and melting pot, and are performing regularly in one or more music clubs on Frenchmen Street. Part of the regular concert program is also the classic blues trio "Erika, Norbert & Shaye". The three have been playing together since 2010, bringing back authentic blues from the 20s, 30s and 40s with Vocal, Trumpet and Piano, inspired among others by Bessie Smith, Merlin Johnson, Ma Rainey and Louis Armstrong. The band was a big success on its first tour, playing the Ascona Festival in Switzerland, and the Maribo Jazz Festival in Denmark. 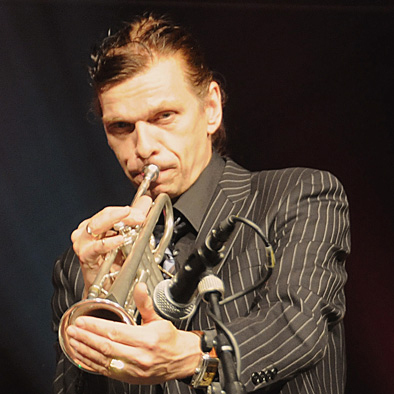 Born 1956 in Hamburg/Germany, Norbert Susemihl began to play the trumpet at the age of 15. In 1978 and 1979 he made his first trips to New Orleans. In 1980 he became a member of the New Orleans Musicians Union and he lived there for a year to study New Orleans Jazz and the lifestyle and culture that made and shaped this music. He has been a part-time resident of the Crescent City ever since, playing regularly with all of the local musicians, from the older traditional musicians to the younger generation players, covering all styles of New Orleans Music. He has also made recordings in New Orleans with musicians like Willie Humphrey, Father Al Lewis, Wanda Rouzan, CoCoMo Joe, Jason Marsalis, Louis Ford and Kerry Lewis. Besides playing with his own bands, Norbert is also regularly touring and performing as guest with different bands in Europe, and in New Orleans, performing on many festivals the continent over. He is considered today as one of the leading trumpeters in the New Orleans style. Clarinetist Gregory Agid has called New Orleans his home for several years and is now breaking out as a member of the new generation of New Orleans jazz musicians. "My music is very much based on the musical traditions upheld by musicians before me," he explains. "I see myself as being in a cultural continuum of music, picking up where the greats left off and moving the music to the next logical next step." Agid has performed with several distinguished jazz musicians such as Delfeayo Marsalis, Ellis Marsalis, Herlin Riley, Irvin Mayfield and the New Orleans Jazz Orchestra, and Troy "Trombone Shorty". He has performed at the New Orleans Jazz and Heritage Festival, and also on the WWOZ FM radio station. Originally from San Antonio, Texas, Agid and his family later moved to Honolulu, Hawaii--where he spent his childhood. At the Louis Armstrong Jazz Camp in New Orleans, Agid was educated and mentored by Alvin Batiste, Kidd Jordan, and Clyde Kerr. 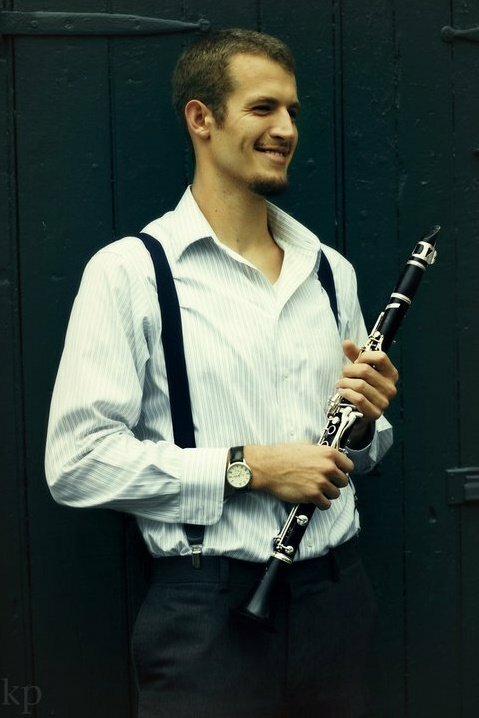 He studied at the New Orleans Center for Creative Arts (NOCCA), and later graduated from Loyola University in New Orleans with a Bachelor of Music degree in Clarinet Performance. Erika Lewis has an exceptional voice and style of singing that is all her own. Her interpretations of the classic blues are so rich of finesse and beauty, and touch the listener deeply. 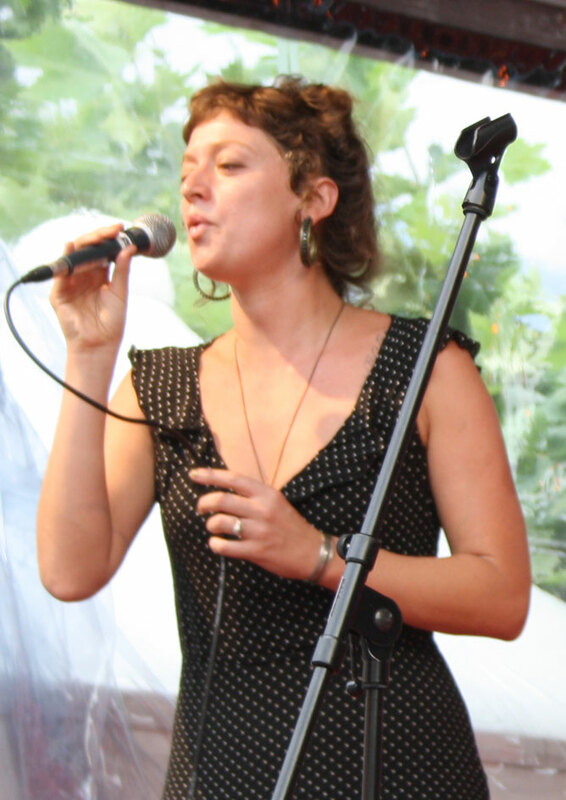 Originally from upstate New York, Erika began singing the blues and jazz in 2007 on the streets of Europe, while on tour with the Cyclown Cirkus, a bike powered musical sideshow of sorts. It was there that she and Shaye Cohn began playing music together. 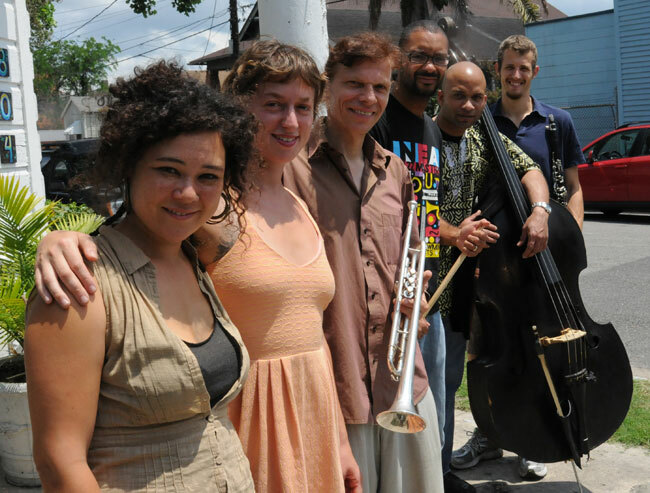 Erika moved to New Orleans after Hurricane Katrina, and is performing there also with the band Tuba Skinny. She has appeared on Festivals in the US, Europe and Australia. 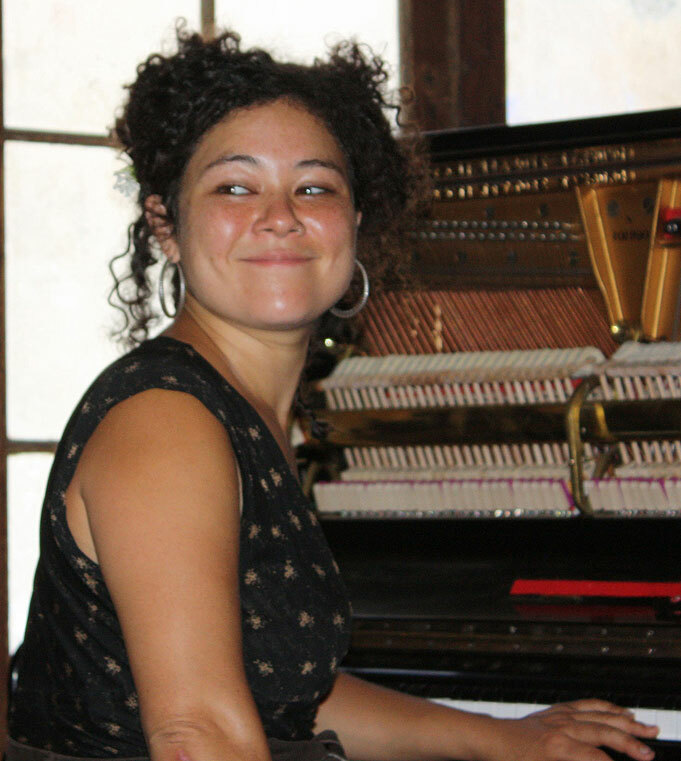 Shaye Cohn is an outstanding piano player, and in her style, amongst the best in classic New Orleans today. She has a classical education, and only started playing New Orleans Jazz around 2006. Inspired by Jelly Roll Morton, she has a perfect musical timing and proficiency of voicing the chords of a song. Besides the piano, she also is very skilful on the cornet, which she plays in the band Tuba Skinny. She moved to New Orleans in 2007, and has performed on tours in the USA, Australia and Europe. 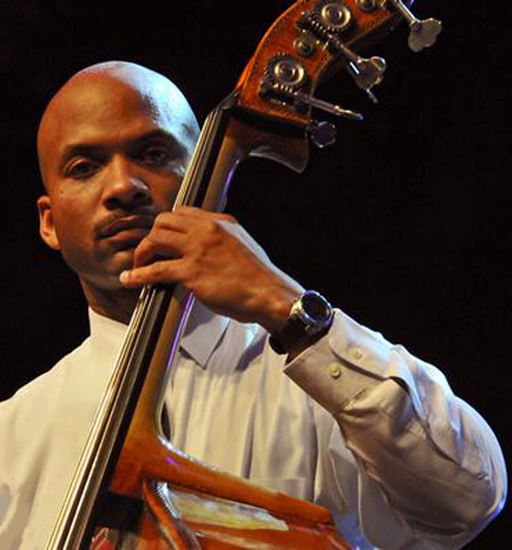 Kerry Lewis has toured three continents with his bass, conducted a big band, composed and coproduced several songs, cofounded a record company, and has his own Group "Abstract". Kerry’s one true love and passion is music. His style of playing the bass is his very own and his tone and sound on the instrument is extremely powerful and natural and marks him simply as one of the best. He started out on a baby guitar, just 3 years old. There would be several professional model guitars as well as bass guitars, upright basses, and saxophones to follow. All State honours, membership in the National Collegiate Wind Band as well as the McDonald’s Jazz Band, and the selection as St. Augustine High School’s Drum Major all exemplified the musical talent that Kerry nurtured in his early years. He started his professional career as a bass player for the consummate performer Banu Gibson and her New Orleans Hot Jazz Band. The thrilling Leroy Jones Quintet also kept Kerry very busy jamming to up-tempo jazz tunes into the late nineties. And in this decade, the very accomplished Michael White has utilized Kerry’s laid back style in his Traditional Liberty Jazz Band. It has been Kerry’s utmost pleasure and honour to play with and learn from these talented musical veterans. In addition, Kerry has been recorded on numerous CDs for various other musical artists covering the blues, country, rock, jazz genres. Born 1977 in New Orleans, Jason is the youngest member of the famous Marsalis family. By the age of six, he had his first real drum set, and was taking lessons from the legendary New Orleans drummer James Black. He has not only inherited the virtuosity and compositional skills, associated with the Marsalis family, but has also developed a distinctive, polyrhythmic drumming style. His first professional gig was with his father's jazz groups at the age of twelve. He graduated in 1995 from the acclaimed New Orleans Center for the Creative Arts High School (NOCCA). Jason has performed with international jazz luminaries such as Joe Henderson, Lionel Hampton, and the Lincoln Center Jazz Orchestra, worked with straight-ahead combos, funk fusion bands, a Brazilian percussion ensemble, and even a Celtic group. He co-founded the wildly successful "Los Hombres Calientes", and he joined up with the acclaimed pianist Marcus Roberts, while he studied classical percussion at Loyola University, and composition at Southern University in New Orleans. 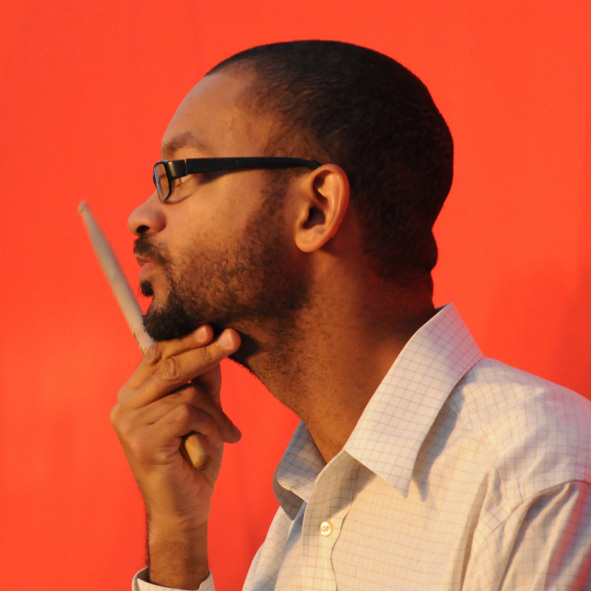 Jason Marsalis tours regularly, and most recently, he has been playing vibraphone as well. His maturity, sense of style, tastefulness and the command he possesses over his instrument, makes him one of the most versatile and swinging drummers of today. Born in 1954 in Hamburg/Germany, Thomas Altmann began to play music in 1971. Mostly self-taught, he has a natural and direct approach of drumming and sense of tradition and timekeeping. 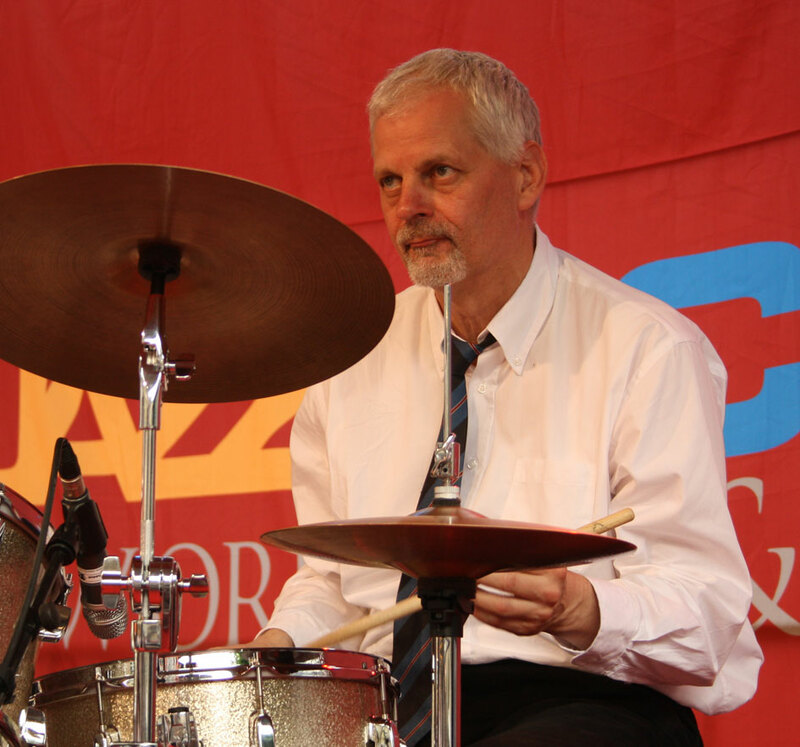 He has been regularly cooperating with Norbert Susemihl since 1986 and widened his knowledge on New Orleans drumming extensively, which strongly shaped and enriched his playing. He is also at home in other musical styles, making his first of several trips to Cuba in 1984. Altmann is also a master of Cuban Music and of percussion, writing and teaching about Cuban drums and drumming. He is a virtuoso, one of Europe's leading instrumentalists and very much at home with the traditional jazzstyle, Ragtime, New Orleans, Swing and Bop. As percussionist, he is in high in demand for Salsa, Cuban, Brazilian and Ghanaian music, amongst others with the North German Radio Big Band.